One easy way to make a blog more visible is to add a favicon. 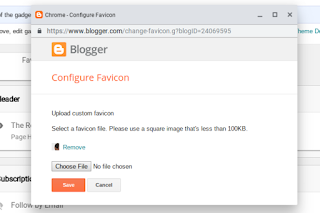 A favicon makes a blog easy to find, in a typical browser window, with lots of open tabs. Adding a favicon is now just a matter of using one more dashboard wizard. Not so long ago, you would require a pair of files, hosted by a special (non Blogger) service - then you would edit the template, to add the URLs of the hosted files. 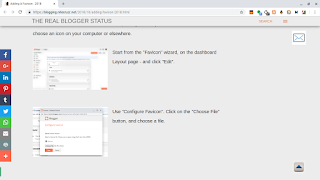 Now, Blogger supplies the "Configure Favicon" wizard - and hosts the file for us. There's the favicon, for this blog. 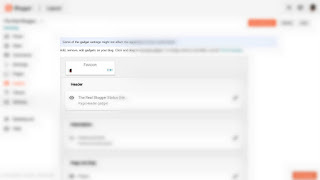 You'll use the standard file selection wizard, that's provided on your computer - and should be able to choose an icon on your computer ("Upload") or elsewhere ("From this blog" / "From a URL"). 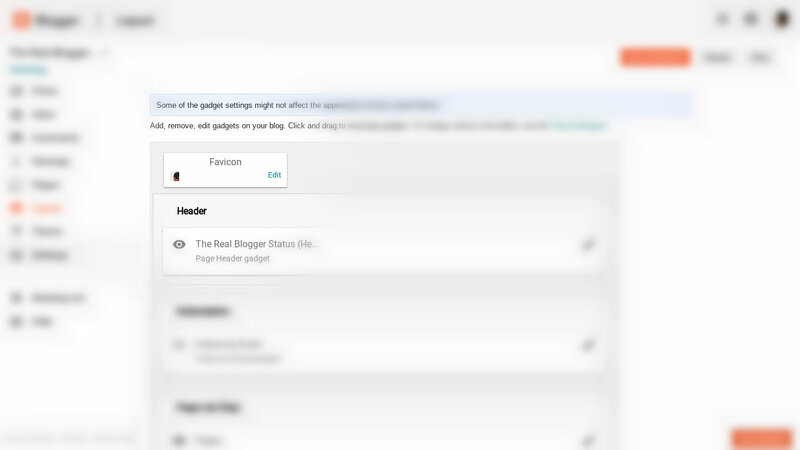 Start from the "Favicon" wizard, on the dashboard Layout page - and click "Edit". Use "Configure Favicon". Click on the "Choose File" button, and choose a file. Click "Save". Then clear cache and restart the browser - and look at your blog. The icon is tiny - so look carefully. 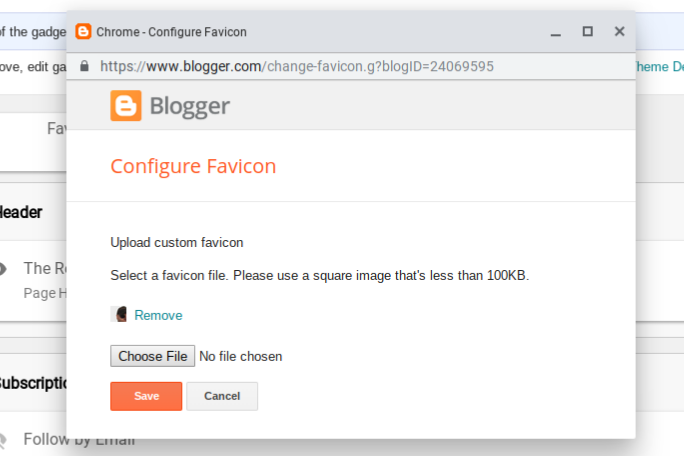 Remember that "Configure Favicon", like many Blogger dashboard wizards, is subject to cookie and script filters. You will still require a suitable file, as your favicon. Please use a square image that's less than 100KB. You have to design a distinctive image, to start - that can be seen easily at a tiny 16 x 16 pixels size. But once you have a suitable icon, in a file, you just add the file to your blog. Not everything in Blogger is this easy. Don't you wish it was? A favicon is an easy way to make a #Blogger blog distinctive, and easy to spot in a browser with multiple open tabs. 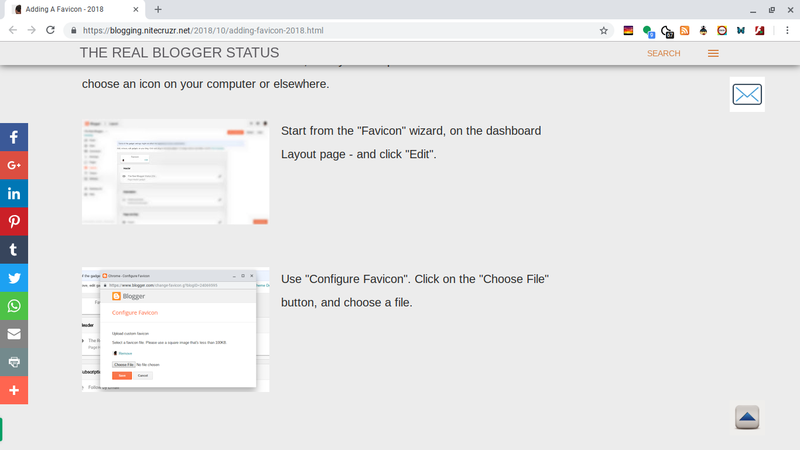 #Blogger now makes it easy for us to add a favicon to our blogs - with one more wizard, on the dashboard "Layout" page.